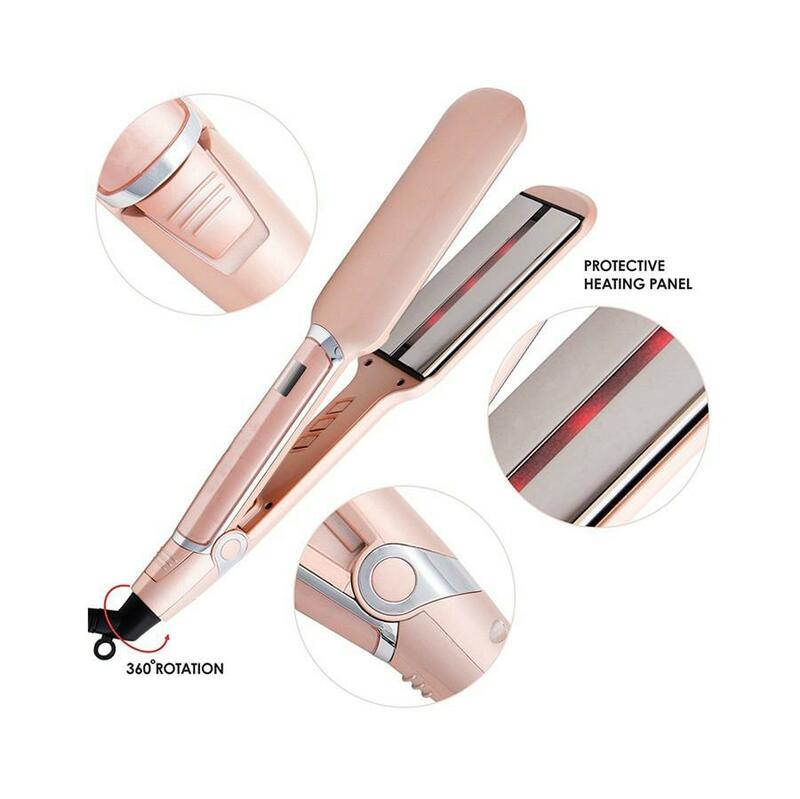 The flat iron features extremely advanced infrared technology that causes less damage to hair cuticle. It warms delicate hair follicles thoroughly without singing, crimping, or burning them. 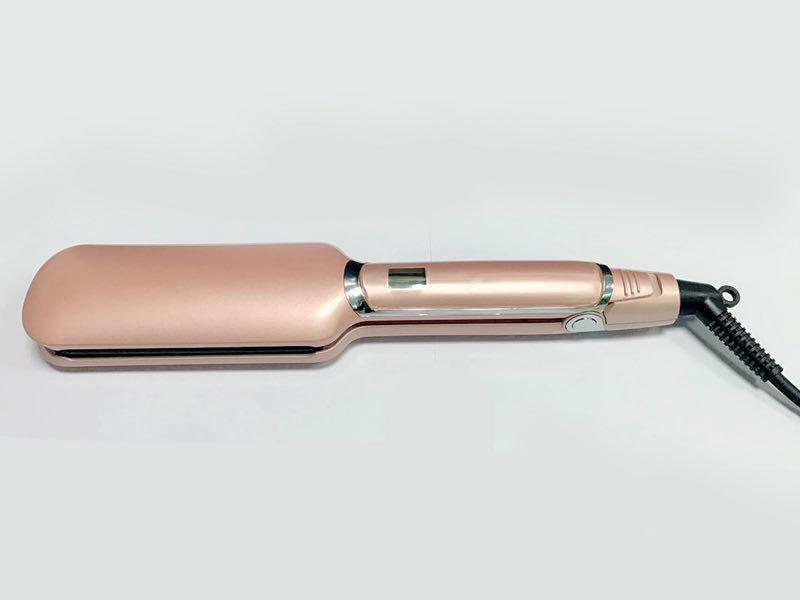 This flat hair styler has a 2-inch-wide floating ceramic plate on the bottom to catch more hair in one motion. 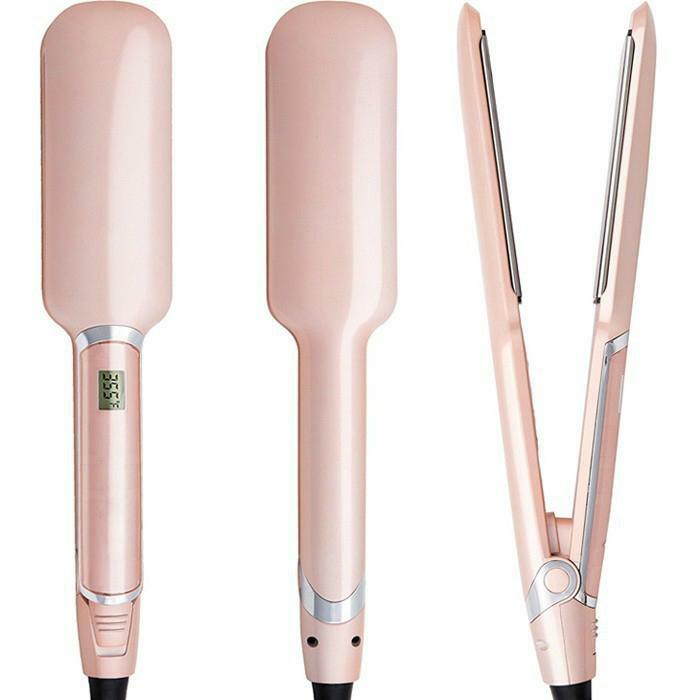 It heats more hair, more quickly to cut the time spent styling in half. 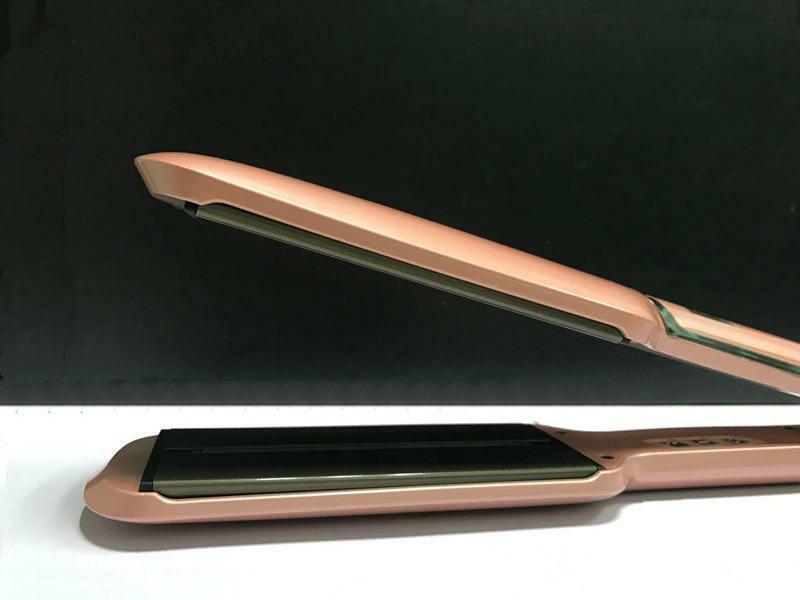 The hair straightener is designed with dual-plate technology that maintains even heating between the upper and lower tourmaline ceramic plates to deliver the best styling results possible. 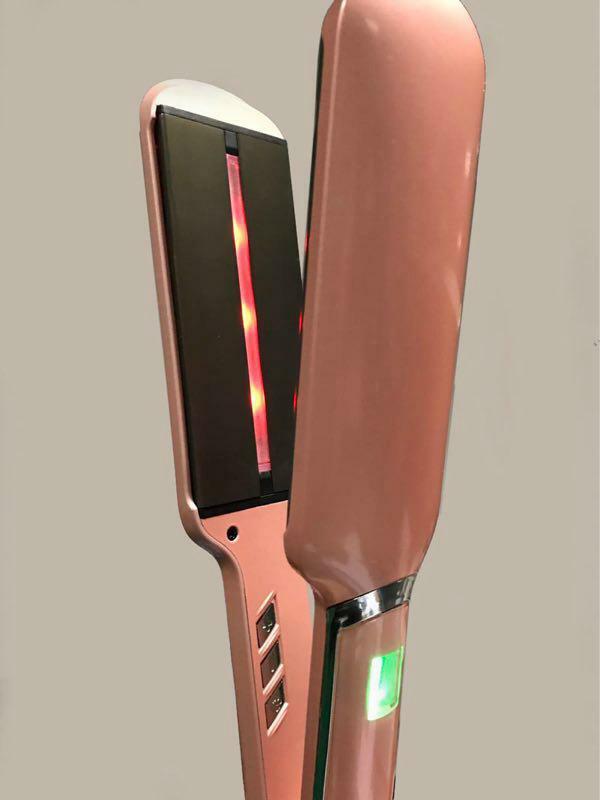 The flat iron for hair is built with a cutting-edge microprocessor that allows it to reach 10 different heating levels – from 266 to 445 degrees Fahrenheit. 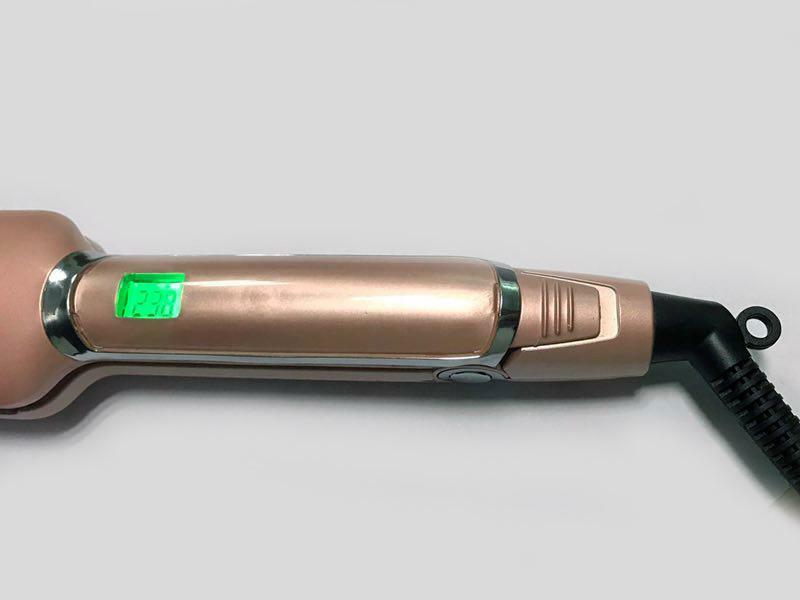 The wand can reach maximum power in only 90 seconds, but has an automatic shut-off sensor for safety. The base cord on this ionic infrared straightener can swivel 360 degrees, giving it unprecedented mobility. You can hold it at any angle for easy, perfect styling every time.